One thing most of us can do is to stop being so aggressive in traffic. Not just being uptight and angry, but rapid acceleration and braking uses more gasoline, and can lower your gas mileage by 33% on the highway and 5% around town. You will save gas and money, plus you will be safer on the road. The second thing we can do is to drive the posted speed limit. Gas mileage decreases rapidly as speed exceeds 60 mph. For each 5 mph you exceed 60 mph it is the equivalent of paying $0.24 extra per gallon of gasoline. Imagine how much money we could save on gas by slowing down. The third thing we should do is to remove any excess baggage from our vehicles that may be weighing it down. This is especially true for smaller vehicles. 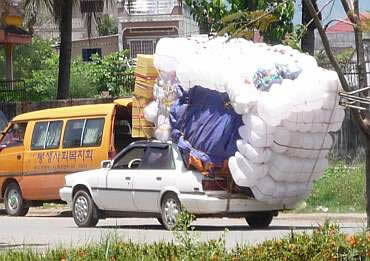 For every 100 lbs extra we carry in the vehicle it lowers the gas mileage by 2%. As most of know sitting in traffic waste a lot of gas and a car with a larger engine waste more gas than cars with smaller engines. When you engine is idling it is getting 0 mpg. 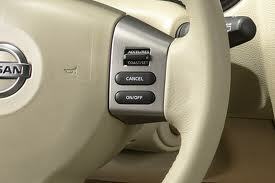 If you are on the highway use your cruise control. 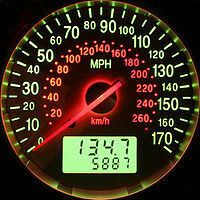 Staying at that constant speed will help you to save on gas (remember speeding up and slowing down rapidly waste gas). 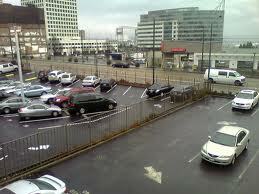 When you are looking for a parking space try to park so that you can pull out forward instead of backing up. Yes, really! This can improve your gas mileage up to 25%. Keep your car properly maintained by keeping the tires properly inflated, using the right grade of motor oil and all filters replaced and you will improve your gas mileage. This is one thing that many of us overlook but it is very important for the “health” our car anyway. Vehicles require regular maintenance and without other things such as gas mileage falls by the wayside. These are a few simple tips to keep in mind while driving if you are interested in increasing your gas mileage, and you may be surprised at how well they work. This entry was posted in Cars and tagged ACCELERATION BRAKING GASOLINE LOWER YOUR GAS MILEAGE, AGGRESSIVE DRIVING, BEHAVIOUR, CRUISING, GAS, IDLE, IMPROVE GAS MILEAGE, KEEP IN SHAPE, LIGHTEN YOUR LOAD, MONEY, MOVING FORWARD, PARKING, SAVE MONEY, SPEED LIMIT, TRAFFIC by All Star. Bookmark the permalink.